When I was younger I thought being a doctor meant that you were born really smart, became a doctor and then became rich. I now laugh at my younger self. I had no idea. It's okay younger self, you know better now. I also never in my life imagined that being married to someone in the medical field would require some life adjustments but it definitely has. 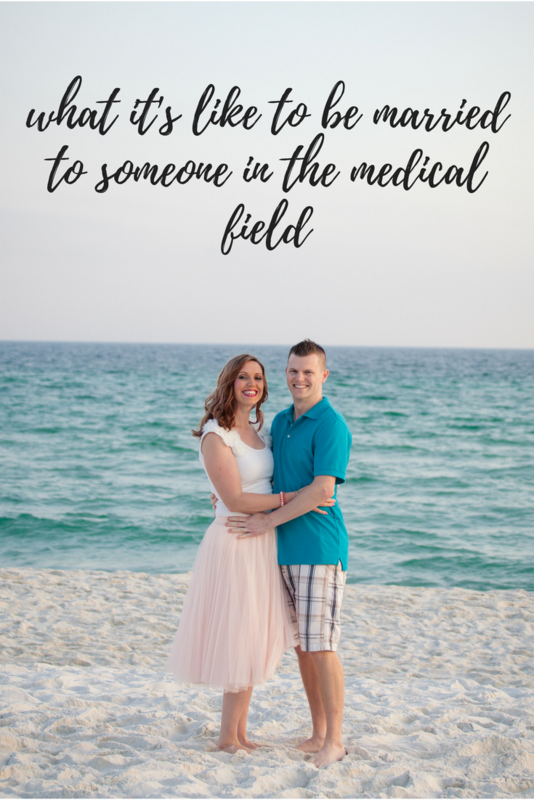 There are pros and cons, just like any job, but it has definitely opened my eyes more to what goes into the medical field, and today I wanted to give you a peek into our life in that regard. 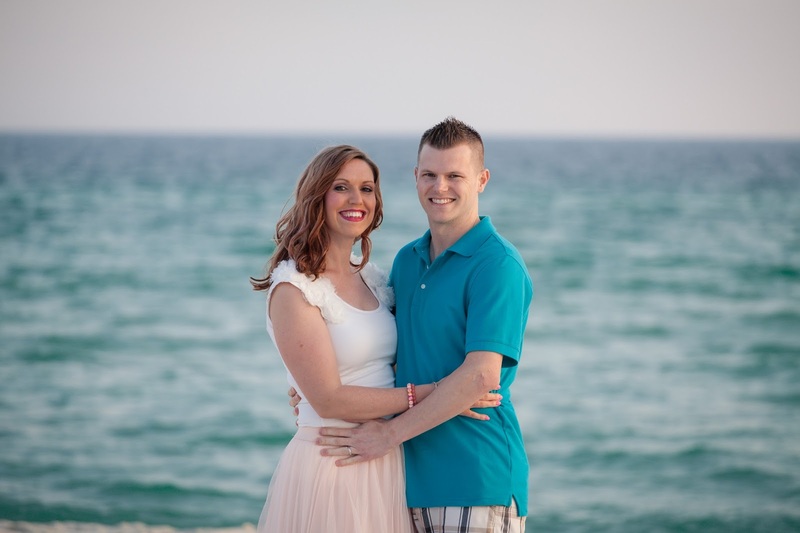 My husband is a physician assistant and works at the busiest ER in Kansas. Before that he worked at a prison, which honesty, helped prep him for this job. Dave said he has always wanted to work in the ER so I am glad he is getting to do what he wants. That's a blessing. As you know, an emergency room is open 24 hours a day. What you might not think about is that when you go in at 2am, the nurses and physicians that see you, they are away from their family to take care of yours. Physicians, and their families, give a lot of their time to take care of other people. I think the time constraints / schedule is one of the hardest parts of Dave's job. He has an absolutely crazy schedule with no pattern. Some of his shifts are from 5pm-3am, 7am-5pm, 1pm - 1am, 6am - 3pm and the days completely vary. Dave's crazy schedule has taught me to be flexible and understanding. Sometimes he misses family events due to work, eating dinner together every day isn't a thing and I've learned to just do things alone. I'm not complaining when I say that either because I am okay with it I'm just writing to share how it is. I honestly am content and comfortable doing things alone. Sometimes I work on things around the house, sometimes I turn up praise and worship music and spend time in prayer, sometimes I spend time with family and friends and sometimes I'm just lazy and don't do much. It varies but I've learned to just be okay with the time I have and overall I'm thankful for it. I think the biggest adjustment for me was learning to sleep at night alone. I've told you about the gunfire I heard shortly after we moved in and that took me months to finally sleep normal again. We finally got an alarm system (shoutout to Simplisafe) and I have a firearm as well. And I will admit, I sleep better at night since we got those things. I do know ultimate safety is of The Lord but having an alarm system and a gun is of The Lord too. On the flip side Dave's weird schedule has some really awesome things about it. Sometimes he gets a random week off, unasked for, and we get to travel. Sometimes he has two or three days off in a row and we get to spend our days together, and that's so nice! His job also has opened the door for me to do photography as a business. I decided early on, that with his schedule, working a 9-5 job would really never allow us to see each other, so working from home has been a big blessing. Now, if he gets a few days off I can clear my schedule to spend time with him. It's a huge pro to his job and I think it's really fun to get random days off. Something Dave doesn't really talk about at home is his job in general. He says when he leaves work he doesn't want to come home and re-live it by talking about it. =) But sometimes he says a few things here and there and I know working at an ER is taxing job. You don't just see physical emergencies in there. You see people with emotional trauma, family problems, homelessness, and so much more. I think people who work in the ER (and in the medical field in general) have a gift. It isn't always an easy task but I'm thankful God equips people to work those jobs. And medicine is clearly on his mind because a couple of weeks ago I was asleep and woke up to Dave trying to do chest compressions on me. He said I was snoring and apparently when he gets woken up out of sleep chest compressions will silence the other person. ha ha! And on a random note, being married to someone who works in the ER doesn't allow for me to have emergencies. When I think something is an emergency and expect Dave to panic with me he is alway so calm. I used to get mad at him for not being overly concerned and panicky with me (hello drama!) but then I realized that he sees so many emergencies and has learned to remain calm in every situation. We are a good balance for each other. Do you have family in the medical field? Do you work in the medical field? If you have any other questions about this please let us know. And, what is your work schedule like? Do you get to be home in the evenings? Do you work weekends? I love how you found positives in all the craziness that is his schedule! My internship is in the ER this year and I’ve been working 11-11 and it is hard to be away from your family for work at night. Thanks for sharing your thoughts, they are always an encouragement! Angel had a different sort of hospital schedule--when we got married he was night shift 7pm-7am, always the same hours, but days shifted each week. It is interesting working a schedule where you might work 5 or 6 days in a row but also, you might happen to be off 3-4 days in a row. I always tried to adapt my schedule to his, but I had some long days at college, with early morning and late night classes, so we developed a habit of he'd wake up and meet me at college at about 5 p.m. and we'd go for dinner together so that we could hang out before I'd have to go to my 6:30 p.m. class and he'd have to go to the hospital. I have fond memories of meeting up with the husband in between college classes. :) Thankfully I never had a problem sleeping alone--although I did find that I was less motivated to go to sleep at all when I was by myself, and would often stay up late at night reading! Eventually Angel got transferred to day shift, and it was similar, just 7 am-7pm, and we definitely celebrated that change, because it makes everyone's schedule a little bit easier to work during the day! I'm very grateful to be married to a medical professional, especially since I'm not at all comfortable with anything medical. He asks all the questions at my doctor's appointments and makes me feel much more comfortable.